ProXO delivers 24 g of elite protein formula with ProtaLyn®, a patent pending Enzymatic Hybrid Protein™ developed with the goal of increasing protein absorption and muscle growth. 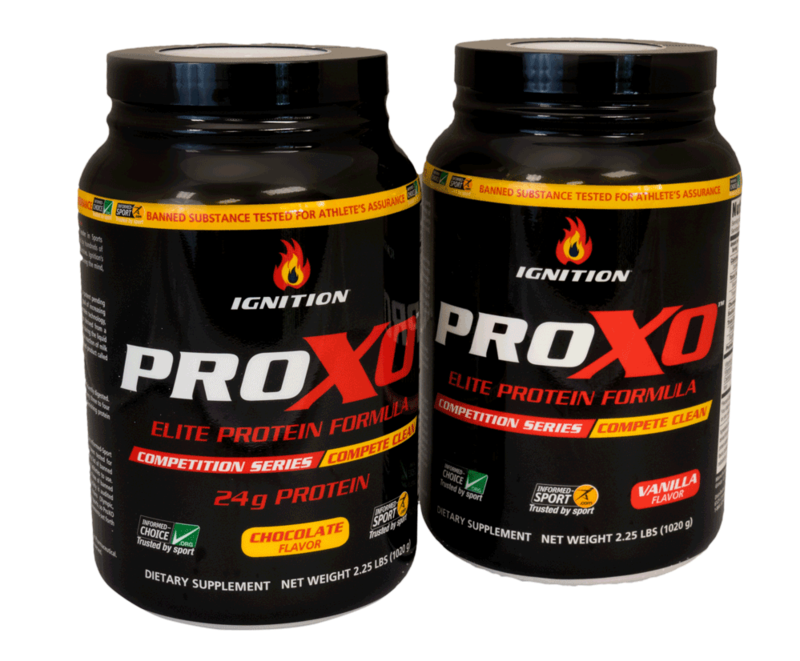 ProXO is the official protein formula of Ignition APG. Experienced in training athletes at the highest levels, Ignition realizes athletes from around the world are required to compete clean. 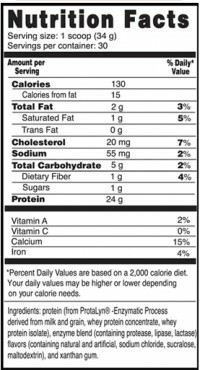 We also realized there is no nutraceutical product being marketed to meet this requirement. ProXO™ was developed to assist our professional athletes with their recovery after strenuous performance training. In creating ProXO, Ignition accessed the pharmaceutical expertise of our parent company, Prasco Laboratories. ProXO was manufactured to meet US Food and Drug Administration cGMP (current Good Manufacturing Practices). Implementing these cGMP measures means ProXO users can expect a clean, safe, and uncontaminated product. Every time. We are confident you can “Compete Clean” with ProXO. ProXO can be quickly absorbed and efficiently digested. And since the body can only utilize so much protein every three to four hours, ProXO takes a less-is-more approach to replenishing protein levels. We developed ProXO using the primary ingredient ProtaLyn® – a patent pending “Enzymatic Hybrid Protein™“ developed with the goal of increasing protein absorption and muscle growth. ProtaLyn’s technology – “Hybrid Enzymatic Peptide Processing™“ – facilitates the reaction of whey and grain protein extracts using enzymatic reactions that occur in the liquid phase, before drying. ProXO is an Informed-Sport Certified product. The Informed-Sport program provides assurance that products have been tested for substances listed on the World Anti-Doping Agency list of banned substances and are safer for athletes to use. Every batch of this product is tested to confirm it is free of banned substances. In addition, ProXO’s manufacturing facility is audited semiannually to ensure compliance. Ignition trains Olympic, professional, and collegiate athletes from all major sports so ProXO must meet the highest standards and pass all requirements set forth by sport governing bodies. Not intended for use by pregnant or lactating women. Always consult a physician before using any dietary supplement, especially if you take any prescription drugs or have any pre-existing health concerns or conditions. Do not use if outer seal is broken or missing. ProXO™ is a trademark of Ignition Athletic Performance Group, LLC. ProtaLyn® is a registered trademark of All American Pharmaceutical. ProtaLyn® is a patent-pending product. All rights reserved. © 2014 Ignition Athletic Performance Group, LLC. All rights reserved.